Welcome to Mosman Park Veterinary Hospital and thank you for choosing us for the healthcare and well being of your pet. John has been a practice partner since 2002. His interests include general medicine and orthopaedic surgery. Outside of work, John has a high energy staghound called Flint and a relaxed Russian Blue called Katniss, who naturally don’t always see eye to eye. 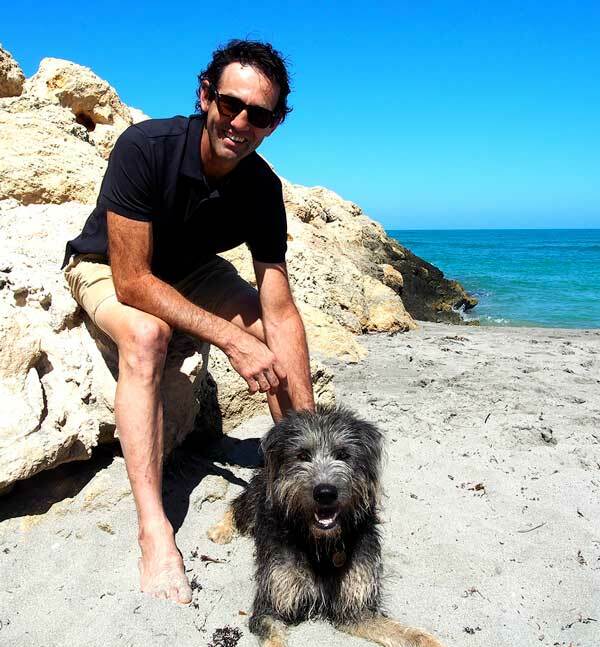 John’s other passions are cycling, he has represented Australia at masters level, and cooking. Growing up in the highlands of Papua New Guinea…..
Sophie decided she was going to be a vet at a very young age. When she wasnʼt at school or caring for her menagerie of pets, Sophie would spend time watching surgery at the local vet clinic. Sophie spent her final years of high school in Perth, graduating from Murdoch University in 1992, the same year as John. Upon graduating she spent 2 years doing small animal work at Victoria Park Vet Clinic. A move to Sydney saw her spend 5 years working in small animal practice, before returning to Perth at the end of 1999. Her beautiful daughter Ella was born in 2000. Sophie started working at Mosman Park in early 2002. Outside of work and family life, Sophie enjoys swimming, cooking ( especially baking sweet treats for the staff ), and spending time with her two dogs Roxy and Willow and her Burmese cat Ted. Helen graduated from Murdoch University in 1986. She was awarded Membership of the Australian and New Zealand College of Veterinary Science by examination in Small Animal Surgery. Helen also holds a Masters degree in Veterinary Studies. Helen relocated to Perth in 2008 at which time she joined Mosman Park Vet Hospital. Prior to that she worked in a variety of busy small animal practices in Sydney, Canberra, Adelaide and the United Kingdom, including emergency medicine. Helen also did a stint with the Guide Dog Association of NSW. Helenʼs special interests include soft tissue surgery, feline medicine and welfare. Helen has two rescue cats Guido and Carlos and two rescue dogs, terrier cross Eddie and delinquent kelpie Olive. From a young age Jo had a very deep compassion for animals and knew she wanted to be a vet when she grew up. Following this dream, she studied at Murdoch University and graduated in 1983. Becoming a practising vet opened an amazing world of rewards and challenges as well as great opportunities to travel and work overseas. In England and Scotland she worked in mixed practice and enjoyed the classic James Herriot lifestyle, visiting farm-folk and treating all creatures great and small, which of course involved many cold late nights in a field or barn during calving or lambing time. Despite encountering a great variety of “exotic” animals in the UK, never in her wildest dreams did she imagine being asked to examine and de-flea a South American bird-eating spider! 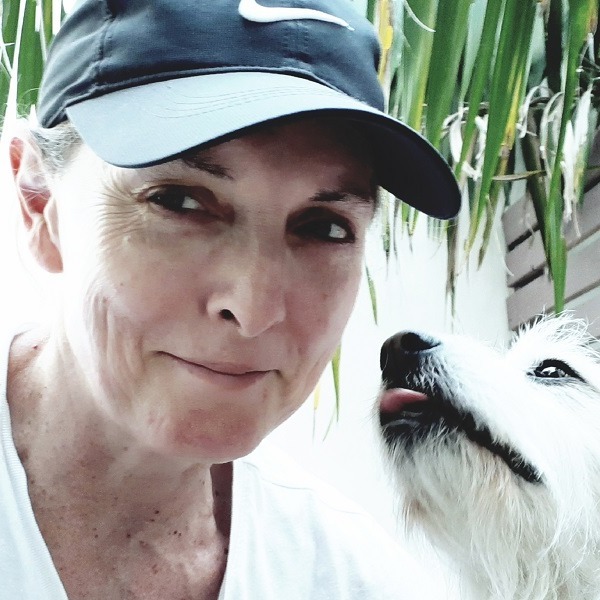 On returning to Australia she commenced a Residency in Small Animal Medicine and Surgery at Queensland University, after which she worked in a variety of locations on the east and west coasts, eventually spending 15 years based in a Perth small animal practice. She has also been a lecturer in the Veterinary Nursing course at Bentley TAFE, and a tutor in Animal Welfare and Ethics at Murdoch University. 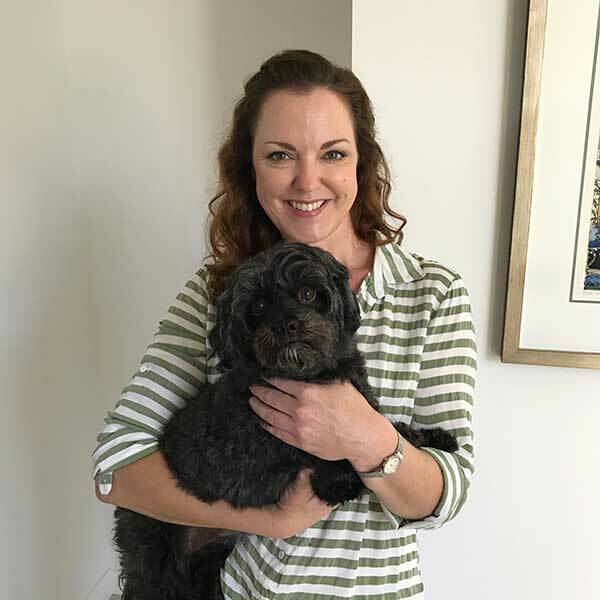 In December 2015 she commenced a position at Mosman Park Vet Hospital and really enjoys working within this happy and dedicated team of vets and nurses. 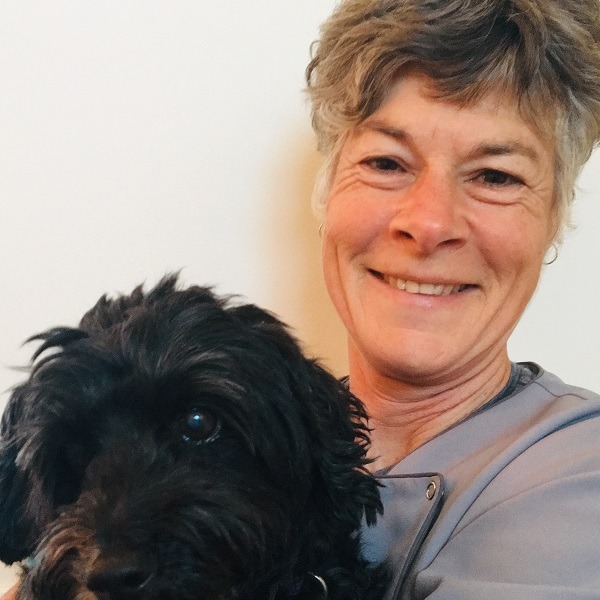 Within her role as a vet she considers it a privilege to be able to support the bond between people and their pets and enjoys the multitude of aspects that a career in veterinary medicine and surgery brings. She has rescued a string of waifs over the years including several wonderful cats and dogs. After little “Bosun” passed on a year or two ago, she has been showering the love on other people’s furry friends, until she decides the time is right for another pet! Here at Mosman Park Vet, you can feel at ease with our experienced Nurses who understand your pets needs. Molly has been working at Mosman Park Veterinary Hospital since November 2011 after graduating from AVT. Molly lives with her partner Sam and Australian Bulldog Arnold. She enjoys playing netball on a Saturday afternoon and travelling around the world to different places. Her love for animals came from growing up with three dogs, Noddy, Spike and Lucy and always finding the stray cat when on holiday with the family! Sarah has always wanted to work with animals and as a youngster aspired to be a vet or a Canadian Mountie! Sarah completed a Bachelor of Science at Murdoch University, majoring in Biology and Environmental Science. After graduating she headed to Queensland to complete a Diploma of Wilderness Reserves and Wildlife at the University of Queensland. Sarah has just become a proud parent to Eric, a four month old ginger tabby and continues to wait patiently for a yellow labrador puppy! Shannon always wanted a career involving animals, graduating from AVT and working at Mosman Park since 2012. Shannon has two rescue cats named Honey and Nugget and a beautiful 4 year old Aussie Shepherd named Marlee. Marlee loves long walks on the beach. In her spare time Shannon enjoys playing softball and cooking. We have a full range of services to meet the needs of your furry loved ones. We have staff on hand at the clinic 24 hours a day, every day of the year, so your pet is always being cared for. We have separate hospitalisation areas for dog and cats and an isolation ward. Our hospital is fully air-conditioned. You are more than welcome to visit and spend time with your pet, whenever they are hospitalised with us. The prime focus of our in-patient care is to maximise comfort and minimise pain and distress. We have a full surgical facility capable of handling all procedures, from routine sterilisations to challenging orthopaedic surgeries. We apply the best current knowledge of techniques, equipment and treatments. We use the latest anaesthetic drugs to provide anaesthesia and surgery in the safest way possible. Mosman Park Veterinary Hospital has a large range of in house laboratory facilities available. This means we can provide you with the results of many tests quickly, very often within the hour. Fast answers when your pet needs them the most. In house tests include pre-anaesthetic, senior pet care and general health blood profiles. Heartworm, Feline Leukaemia and Feline Immunodeficiency Virus testing is also available at the hospital. An extensive range of pathology services is provided by Vetpath Laboratories. The hospital is equipped with modern xray facilities and digital processing equipment so that our vets can provide you with valuable diagnostic information quickly. Veterinary specialists from Diagnostic Veterinary Imaging routinely perform ultrasound examinations at the hospital, this means that your pet will not need to leave the clinic to get the best of care. Other diagnostic imaging, such as CT scans, can be accessed when required. Copyright by SCD 2019. All rights reserved.